The perfect accessory for entertaining, the Martini Bianco Cabinet by Eichholtz will take centre stage at any dinner party or cocktail hour. Inspired by antique drinks cabinets, the trunk design is upholstered in the finest check fabric for sophisticated luxury. Crafted from Chinese Ash wood, this striking cabinet will suit both traditional and contemporary interiors. 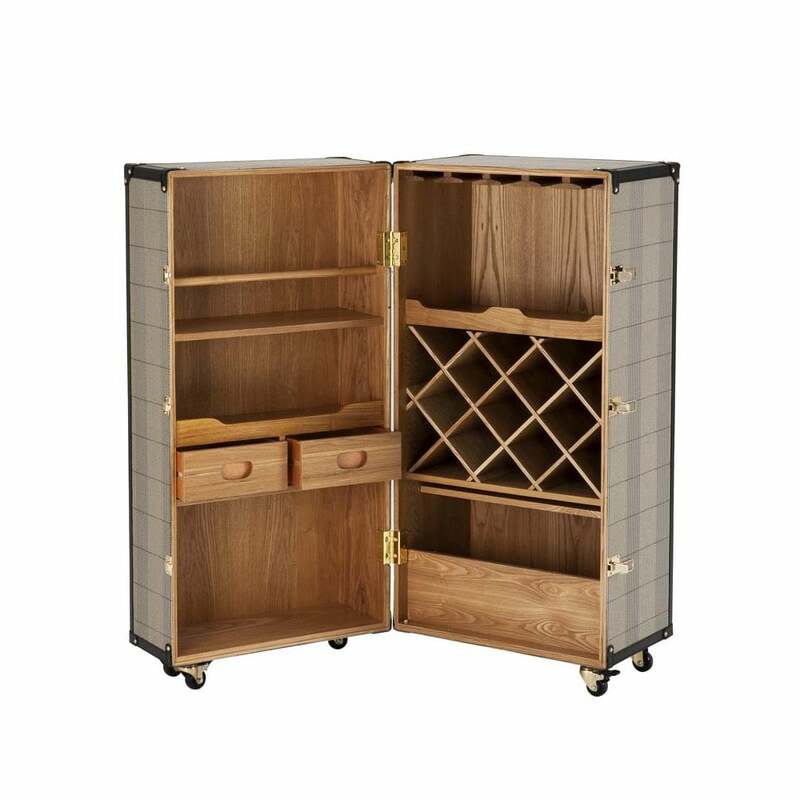 Featuring a range of storage compartments, use to display and hold your favourite wines, glassware and drinks accessories. The ultimate gift for a host or hostess, the cabinet features nickel hardware and castor wheels at the base for practicality.